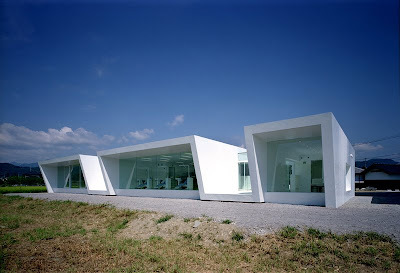 We love the purist modern architecture from Japan which is truly trendsetting and unique. No distracting bells & whistles, just pure simple minimal modern architecture with an edge! It seems Japan and Europe are really developing more and more minimal modern and groundbreaking works while the US is still leaning towards more tradiontal architecture with a focus on green. We hope the modern winds from Japan and Europe will soon blow towards the US and that the two elements (super modern & green) can be combined more in the future. 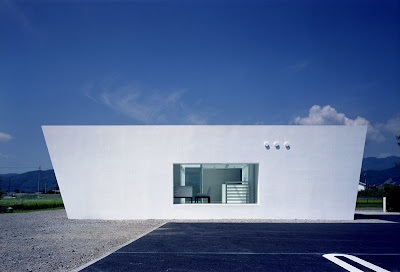 One of the great works from Hiroki Tanabe is this amazing piece of modern architecture. The complex houses a private residence and a dental clinic. 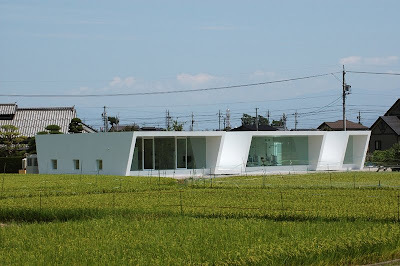 This beautiful modern building islocated in the suburbs of Nagano, Japan, in a beautiful farm village surrounded by rice fields and peach orchards. A concrete plate, 300 millimeters thick, forms the zigzag structure, which is made up of three shells and two open courtyards. Each of these three shells face each other across the plate. 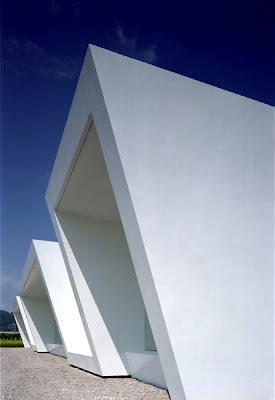 Each shell has different functions inside, residence, clinic and waiting lounge. In each courtyard two glass boxes are set and used as pathways and entry halls between two adjacent shells. The residence and the waiting lounge are separated from each other to provide for privacy. 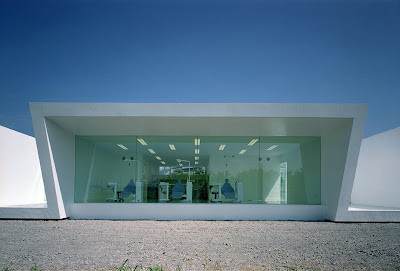 For the dentists, the residence is the space for relaxation separated from the working place. For patients, the waiting lounge is the space for relaxation kept off from the anxiety of the dental office. The three shells include post-tensioned cables in their slab. They have a useful life span of 200 years or more and require no columns and beams. The interior is build with timber and light-gauge steel, if necessary, it can be remodeled without any structural constraints.